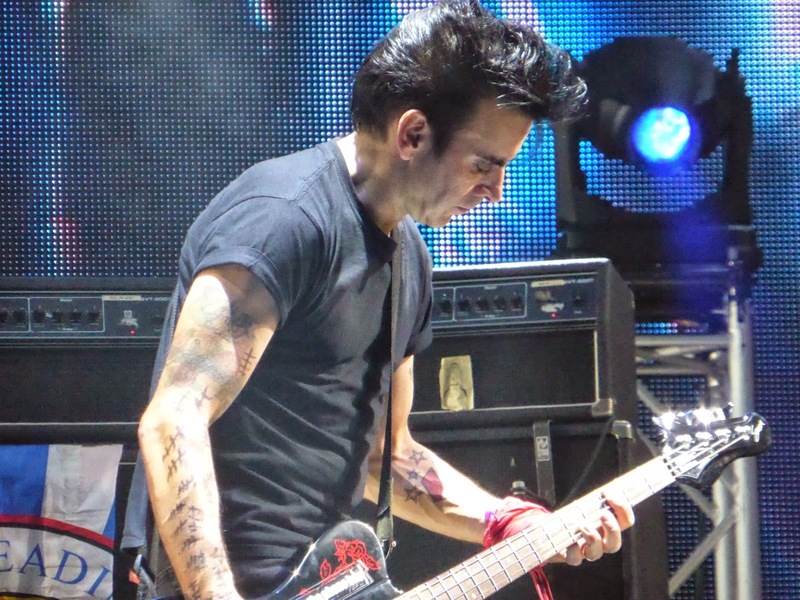 Chain Of Flowers: Simon Gallup is a Doctor Who fan! 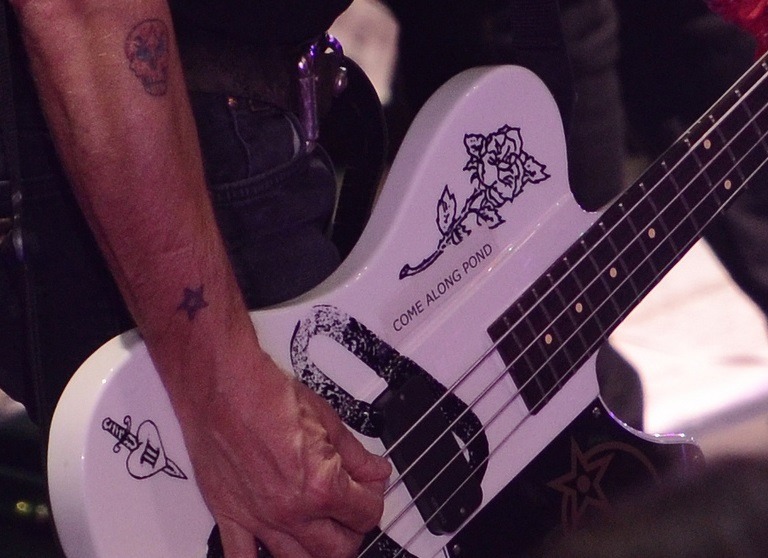 Update: He's also had a "Come Along Pond" sticker on his white bass, and also wrote that on his arm. Update (10/21/13): Yet another Doctor Who reference from Simon, and further proof of his awesomeness. See those sets of marks on his arm? He must have run into The Silence quite a few times in Austin! ;) Thanks to Rev. Heron for sending the photo, and to Fuji for taking it at Austin City Limits on Oct. 5th. Update (03/31/14): And his latest Who sticker, A Good Man Goes To War, was displayed at the Royal Albert Hall shows on March 28th & 29th, 2014. Thanks to Perfect.Murder for spotting it, and to Olivier at It's A Perfect Day for the photo. 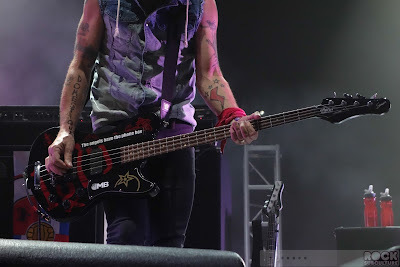 Update (5/30/14): No change at the BottleRock show. 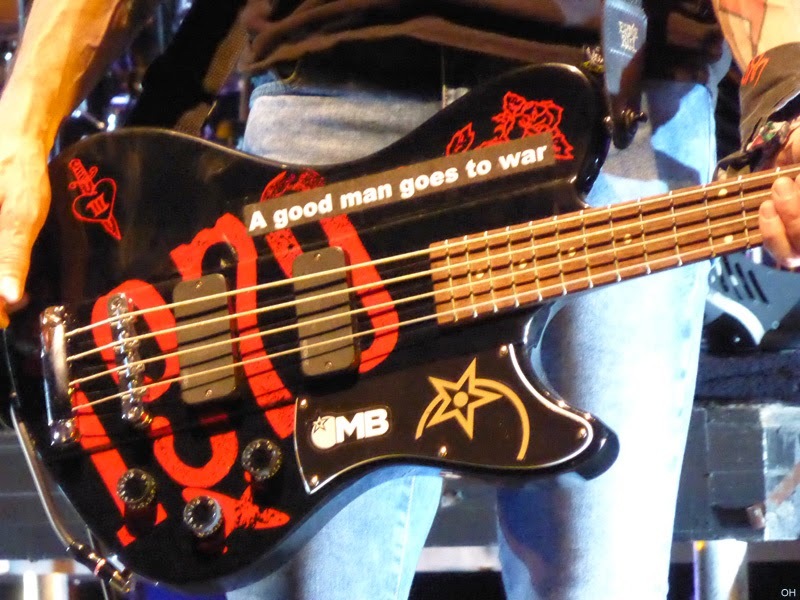 Still has A Good Man Goes To War sticker. This is really fun! 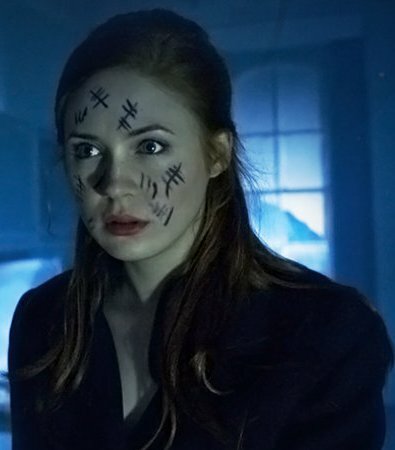 Have there been any other DW stickers or markings that I've missed? Awww. I'd feel the same way if he were into "Battlestar Galactica". Ah, well, he IS an "Inspector Morse" fan, as he wrote on thecure.com in the late '90s, and I'm a bigger fan of that show, since I've gotten older, so I can appreciate the show more; I bought the DVDs a couple of years ago. They don't make shows like that anymore. Also has the word Domestique written down his arm. With Simon being a keen cyclist I assume it relates to a cycling Domestique who supports and assists his team leader in a race. Thanks for that explanation - I was wondering if he was having issues at home, haha!! Personally, I think Simon is secretly The Doctor. He looks remarkably like David Tennant! 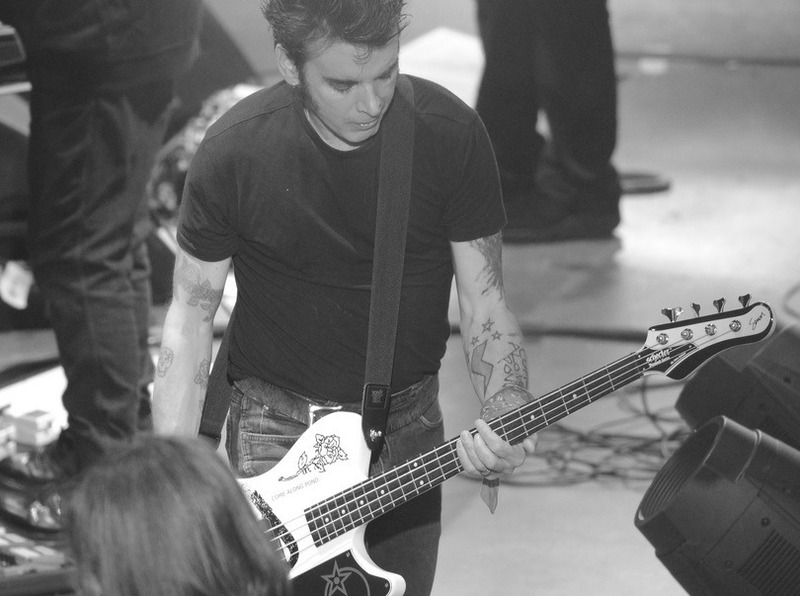 He must be a Time Lord to look that ageless, really. The new Doctor is announced at 7.30 on Sunday night. Maybe he was giving a clue it will be him. I think it was The Prayer Tour when they mentioned that they killed time on the bus watching old Dr Who VHSs. Yeah, when they announced that special for Sunday night, I knew the new Doctor wouldn't be Robert or Simon, as they'll be at Lollapalooza at that time. Oh where/when was that one? I missed it. as a huge cycling fan, I find the domestique reference to be brilliant because that's exactly the part he plays with the cure, Roberts super-domestique! I think that there shouldn't be a question mark on the title to this one, as it's pretty clear he is a fan. No question! !